GeneratePress is a fast, lightweight and mobile responsive WordPress theme. More than 100,000 websites have activated free GeneratePress WordPress theme. GeneratePress is offering premium modules for WordPress users. Today I am going to talk about GeneratePress affiliate program. The affiliates can earn money by selling GeneratePress premium modules. The premium modules consist of colors, typography, elements, WooCommerce, spacing, blog, secondary nav, copyright etc. Apart from these modules the users can have access to site library. How Will You Receive Payment? What Are The Best Features Of GeneratePress Affiliate Program? Write a blog post about GeneratePress and, embed your referral link within article. Place your unique referral link on website or blog. Make a YouTube video about GeneratePress and, leave your affiliate link in the description below. Send newsletters containing GeneratePress to your subscribers. However, there are some rules for promoting GeneratePress. Remember that GeneratePress won’t allow self referrals. You must not run PPC campaigns with GeneratePress or related keywords. The affiliates must not promote GeneratePress on coupon sites. The GeneratePress affiliates will get 35% commission per sale. You will receive payouts from GeneratePress on monthly basis. You need to reach $50 to receive payment. The only payment option is PayPal. 60 days cookie : Your referred customer has 60 days to purchase premium license. One must give a try to GeneratePress affiliate program to earn decent income. GeneratePress affiliates can share their experiences below. Hope GeneratePress affiliate program review help affiliates to get started. Join GeneratePress Affiliate Program And Start Making Money ! How To Make Money With Liquid Web Partner Program ! 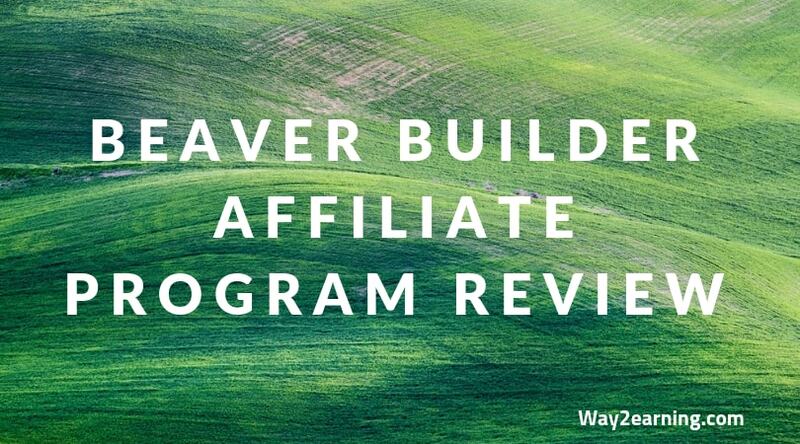 Beaver Builder Affiliate program Review ! WebCEO Affiliate Program Review !